In this talk I will describe computer vision and machine learning methods that utilize Convolutional Neural Networks and Long Short-Term Memory Networks for fish species identification, fish population density, and biomass estimation from underwater video sequences, and present an integrated semi-automated fish visual census system for fish biodiversity monitoring of our seas. Prospero Naval, Jr. is a Professor at the Department of Computer Science of the University of the Philippines Diliman and Laboratory Head of the Computer Vision and Machine Intelligence Group of the same department. Prof. Naval received his undergraduate and graduate degrees in Electrical Engineering from the University of the Philippines Diliman as well as a graduate degree in Computer Science at the Kyoto University. He did his post-doctoral studies at the Université Libre de Bruxelles in Belgium on swarm robotics under the DOST ERDT Post-Doctoral Fellowship Program. His current research interests revolve around applications of deep learning, probabilistic machine learning and decision making, swarm robotics and computation to problems in environment, health care and education. P. Naval. 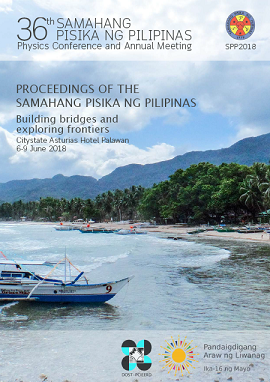 Learning from the deep with deep learning, Proceedings of the Samahang Pisika ng Pilipinas 36, SPP-2018-INV-1B-01 (2018). URL: https://paperview.spp-online.org/proceedings/article/view/SPP-2018-INV-1B-01.